"The Secret Legion is a thousand-year old worldwide organisation in charge of solving natural and supernatural mysteries. Its members are scientists, artists, inventors, people with special talents disposed to leave a common life to work in the background. Becoming a Legionnaire could be either a honour or a curse. 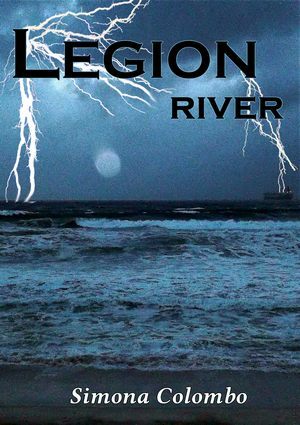 This is the story of River who comes across the Secret Legion at the age of 18. It is the tale of his most important and dangerous mission which will involve his family, his best friend, and some Legionnaires coming from the past to foil a threat unknown to the rest of the world." "The legionnaries follow a variety of issues: from hunting down mythological monsters to time travel technologies, from paranormal studies to space missions. This has allowed me to create self-conclusive stories about different characters and themes. River tells of a young man joining the Secret Legion and how this choice has affected his life; Gabriel, currently available in Italian only, is based on the Vesper project, about time travel; Susanna, the third chapter I am still writing, is going to be about interstellar travel based on the Horizon project. Two more stories will complete the five-books saga involving characters from previous chapters. Every book of the saga follows the adventures of a different legionnaire which intertwines with those of ancient colleagues, mixing historical facts with legends and fables. The criteria of choosing an era in which to develop my stories is simply down to personal choice. All of us have our own “favourite eras” and in my writings I like using those that struck my imagination. Of course, l need to carry out some research to make the settings credible, so I read books, watch documentaries and use the internet to avoid historical errors." Simona Colombo, Italian writer and traveller. Enthusiastic reader and passionate about documentaries, she introduces her favourite topics in her books: from science fiction to exploration chronicles, from horror stories to archaeology, from magic to adventure. In love with nature, Simona travels whenever possible, sharing photos, videos and stories of her experiences around the planet on her Italian blog Semm de Passacc. In 2013 she won the Silver award in the contest Go Around the World for travel literature.